Makes gin, bourbon, vodka, and other spirits available in stores, bars, and restaurants. 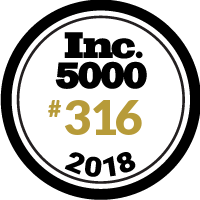 Driftless Glen Distillery is one of the fastest growing handcrafted distilleries known for true grain to glass spirits, ranking in at 316 as an Inc. 2018 Fastest Growing Company. Driftless Glen is one of the largest Distilleries in the US with close to 5,000 aging barrels of Bourbons, Rye Whiskeys and Brandy in our rick-house. Taste The American Spirit DG, an American Craft Distillery making even the glencairens that the whiskey flows into, thirstier for more - winning the hearts of Americans all over the US with award-winning spirits. DG Spirits are distributed throughout 10 states and growing.